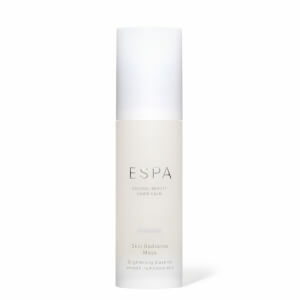 A brightening moisturiser to revive dry, dull skin while smoothing and refining, for a softer, more luminous complexion. Mulberry, Bearberry and Liquorice help visibly brighten and even skin tone while Meadowsweet and Hawaiian Algae work to reveal fresher, softer skin. 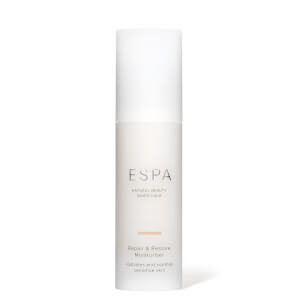 Further ‘lock in’ the benefits by applying Optimal Skin ProDefence SPF 15 over Skin Radiance Moisturiser for your final protective layer. Water (Aqua), Methyl Glucose Sesquistearate, Prunus Armeniaca (Apricot) Kernel Oil, Squalane, Citrullus Lanatus (Watermelon) Seed Oil, Oenothera Biennis (Evening Primrose) Oil, Glycerin, Butylene Glycol, Hamamelis Virginiana (Witch Hazel) Water, Sorbitol, Glyceryl Stearate SE, Sclerotium Gum, Sodium PCA, Caprylic/Capric Triglyceride, Phenoxyethanol, Stearyl Alcohol, Citrus Nobilis (Mandarin Orange) Oil, Tocopherol, C12-16 Alcohols, Honey (Mel) Extract, Limonene, Sodium Lactate, Helianthus Annuus (Sunflower) Seed Oil, Lactic Acid, Alcohol Denat., Palmitic Acid, Spiraea Ulmaria Root Extract, Lecithin, Sodium Hydroxide, Alcohol, Arctostaphylos Uva-Ursi Leaf Extract, Citrus Grandis (Grapefruit) Fruit Extract, Glycyrrhiza Glabra (Licorice) Root Extract, Morus Bombycis Root Extract, Scutellaria Baicalensis Root Extract, Benzoic Acid, Crithmum Maritimum Extract, Cananga Odorata Flower Oil, Geraniol, Cymbopogon Martini Oil, Pelargonium Graveolens Flower Oil, Dehydroacetic Acid, Malic Acid, Phytic Acid, Linalool, Sodium Hyaluronate, Citronellol, Caprylyl Glycol, Potassium Sorbate, Sodium Benzoate, Chondrus Crispus Extract, Ethylhexylglycerin, Benzyl Benzoate, Farnesol, Benzyl Salicylate, Citral. My first time of using this was amazing! I can't believe what it did! My skin is so soft, and my dry red patches feel much better. I have very sensitive skin and tried tons of product. Most do nothing at a high cost. The only other one that I found works is estee lauder and it's expensive. You can purchase Joanne Jones product at marshals for a very good price! Love it so far and can't wait to see how my skin is on day 7. This is a super moisturiser. It even works in the hot weather and lasts for ages. Has really given my skin a radiant glow. 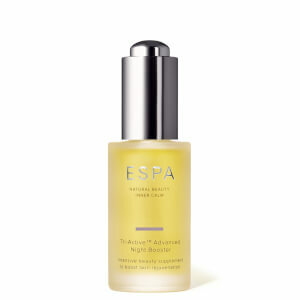 Amazing when used with skin radiance serum. I really like this moisturiser, lovely texture and makes my face feel great. Within very little time however, and without dropping it, the outer casing of the moisturiser cracked and now the tube dispenses a little dry nugget with the rest of the cream, which is disappointing. I wish I had gone for the pot.